He changes teams via trade. For instance, the Sixers hold Tobias Harris‘ Bird rights as he approaches 2019 free agency, despite just acquiring him in February. His Bird clock didn’t reset when he was traded from the Clippers to Philadelphia. He finishes a third season with a team after having only signed for a partial season with the club in the first year. Wayne Selden finished the 2016/17 season on a contract with the Grizzlies, then re-signed with Memphis on a two-year deal in the summer of 2017. With that contract about to expire, and Selden – who was recently traded to the Bulls – will have full Bird rights because of those few weeks he spent with the Grizzlies at the end of ’16/17, which started his Bird clock. He signed for a full season in year one or two but the team waived him, he cleared waivers, and didn’t sign with another team before re-signing with the club and remaining under contract through a third season. This one’s a little confusing, but let’s use Ben McLemore as an example. In the second year of a two-year contract, McLemore was waived last month by the Kings and has yet to join a new team. If Sacramento were to re-sign McLemore in July and kept him for the entire 2019/20 season, the team would have his full Bird rights, assuming he doesn’t join another team in the interim. He changes teams via free agency. He is waived and is not claimed on waivers (except as in scenario No. 3 above). His rights are renounced by his team. However, his Bird rights are restored if he re-signs with that team without having signed with another NBA team. Dirk Nowitzki had his rights renounced by the Mavericks last July, for example, as Dallas attempted to gain cap flexibility. After re-signing with the Mavs, Nowitzki retained his full Bird rights. He is selected in an expansion draft. If a player who would have been in line for Bird rights at the end of the season is waived and claimed off waivers, he would retain only Early Bird rights. Meanwhile, a player with Bird rights who re-signs with his previous team on a one-year contract (or a one-year deal with a second-year option) would lose his Bird rights if he’s traded. As such, he receives the ability to veto trades so he can avoid that scenario. When a player earns Bird rights, he’s eligible to re-sign with his team on a maximum-salary contract for up to five years with 8% annual raises when he becomes a free agent, regardless of how much cap room the team has. The maximum salary will vary for each player depending on how long he has been in the league, but regardless of the amount, a team can exceed the salary cap to complete the deal. A team with a Bird free agent is assigned a “free agent amount” or cap hold worth either 190% of his previous salary (for a player with a below-average salary) or 150% of his previous salary (for an above-average salary), up to the maximum salary amount. For players coming off rookie scale contracts, the amounts of those cap holds are 300% and 250%, respectively. The Mavericks, for instance, will have a cap hold worth $17,091,162 for Kristaps Porzingis on their 2019/20 books — 300% of his $5,697,054 salary for 2018/19. 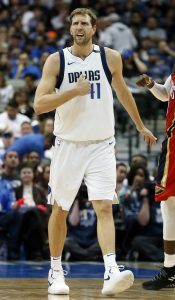 Dallas could renounce Porzingis and clear an extra $17MM+ in cap space, but the Mavs would lose his Bird rights if they did that, which would force them to use either cap room or a different cap exception to re-sign him. Instead, the Mavericks may use Porzingis’ Bird rights and his cap hold strategically, perhaps using their cap space on other free agents and/or trades while Porzingis’ $17MM cap hold remains on the books. The Mavs could then circle back and use Bird rights to sign KP to a contract with a starting salary higher than $17MM. Ultimately, the Bird exception was designed to allow teams to keep their best players. The CBA ensures that teams are always able to re-sign them to contracts up to the maximum salary, assuming the player is interested in returning and his team is willing to go over the cap.